Welcome to Camping Cisano San Vito Bardolino. Directly on the lake with a beautiful view and a long private beach: ideal for restful holidays in a perfectly enchanting site. A swimming pool, playground, supermarket, restaurant and shops make this perfect for families that enjoy peacefulness and, at the same time, amusements for everybody in the same campground. Facilities: masonry cottages for 4/6 persons, fully-equipped mini-bungalows, spacious bungalows with two bedrooms and a large living room, trailers positioned in the shade of splendid trees, apartments immersed in the vegetation of a splendid park. These are the lodgings proposals offered by Camping Cisano San Vito. A complete offering where you can find and choose the solution that best suits your holidays. Swimming Pools: our pools are surrounded by gardens, with slides that invite you to dive in and have fun and with large areas equipped for sunbathing and relaxing. Our campground pools will become a focal point for you and, above all, for your children after the beach has satisfied your desire for Nature. Sport: there's never a dull moment with Camping Cisano's instructors/animators. You can select what you enjoy most: from tennis classes to windsurf schools, from swimming to aerobics, from volleyball tournaments to football tournaments, from water-skiing to canoeing. Activities: our team of animators continues with their amusement proposals all day long, involving children especially during the day and offering enjoyable dancing evenings. In this way they alternate amusing beach games with long and fun party evenings. Services: comfort above all. You have practical and indispensable facilities so that all your wishes can become true: a really complete, amusing and relaxing vacation. Our supermarket, laundry, bar, carwash, postal service and currency exchange, newspaper stand, restaurant, whirlpool, first aid station and children's playground facilities guarantee this result. 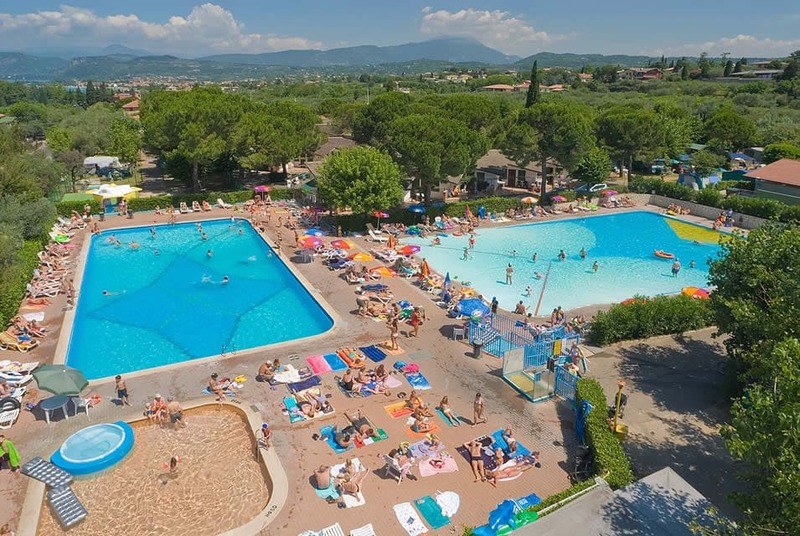 (Camping Cisano San Vito Bardolino campings).